Cotter Bridge. © Gretchen Friedrich, 2014. This week, the Sun leaves the murky territory of Scorpio and enters jovial Sagittarius. But I’m not breaking out the champagne. This entry was posted in Forecasts and tagged Chiron in Pisces, New Moon, Sagittarius, Uranus-Pluto square on November 16, 2014 by Pat. The last couple of weeks have been fairly quiet – at least, compared to the tumultuous summer and early fall. The activity picks up this week, but the mood should be positive and upbeat. The biggest disappointment last week was the mob out shopping on Thanksgiving evening – no big surprise, given the over-the-top indulgence of Thursday’s Venus-Jupiter opposition. I was hoping, as were several of my friends, that there would be a huge public backlash against retailers that moved Black Friday sales back a day. Alas, compulsive shopping won out, with unruly crowds, fights, and damaged merchandise. What’s next? Three-day sales starting on Wednesday? Marathon shopping week with a quick break for a McTurkey meal and deep-fried pumpkin pie in a cardboard tube? Speaking of pie, my gluten-free, nondairy pumpkin pie turned out quite good, although it took a few failed experiments to get the ingredients right. A couple of dinner guests said they liked the crust better than regular pie dough. No one even noticed the milk substitute. Several of you have written to me suggesting that a gluten-free diet might improve my health. The New Moon is always a good time to start new ventures, so perhaps it’s time to make that switch. 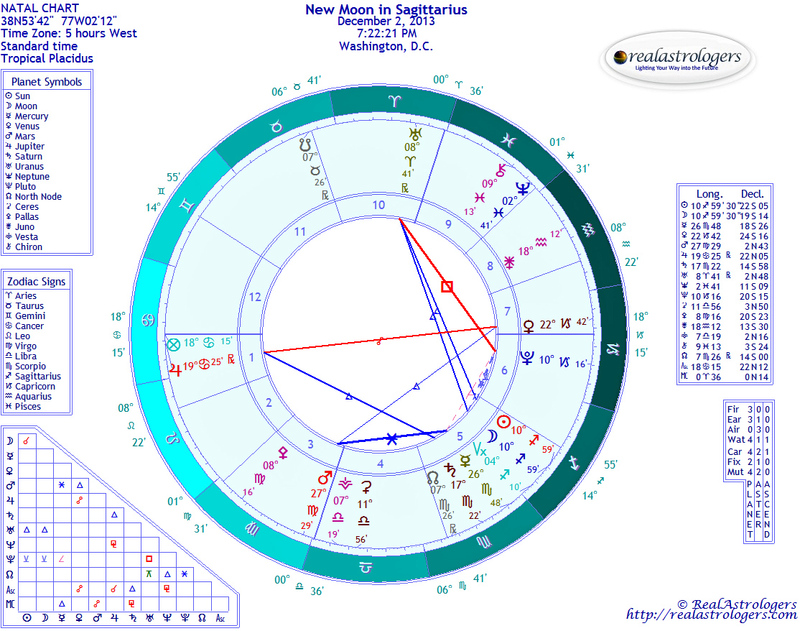 The chart for Monday’s New Moon in Sagittarius is friendly overall. The Venus-Jupiter opposition remains active, but it’s waning and relatively benign. The Uranus-Pluto square is still lurking in the undercurrent, but the tension has a release valve via a trine flowing between Uranus near 9 degrees Aries and the New Moon just shy of 11 degrees Sagittarius. The Archer aims for the truth, and sometimes that means thinking beyond our belief system. Some people aren’t even aware of what they believe, because it’s so ingrained in us from an early age. Aries is the pioneer who fearlessly ventures into new territory. By questioning our beliefs, widening our perspective, and being willing to try something new, we can find creative, innovative ways to tackle problems that have defied solutions. Remedies could be surprising, and they could come totally out of left field. Jupiter, the ruler of this New Moon, is retrograde, but he’s in Cancer, the sign of his exaltation. Moreover, Jupiter and the Moon are in mutual reception, so they work together and strengthen each other. This is a perfect time to examine how culture and national identity form our belief system. For example, many Americans believe that the United States is the most democratic country in the world and that anyone who questions our system of government is unpatriotic. I know that readers of RealAstrologers are beyond that simplistic worldview, but you get my drift. Cancer also is associated with family, which plays a powerful role in establishing our beliefs. You probably don’t need to think too hard to come up with beliefs your family programmed into you that you later discovered weren’t entirely true. For a clue about what beliefs you might be ready to examine, look at where Jupiter is transiting your natal chart, by house and also in aspect to natal planets. For example, if Jupiter is transiting your fifth house, you might want to examine your beliefs about the proper way to raise children. With Jupiter in your second or eighth houses, beliefs about money could be an area to focus on. Saturn and Jupiter also are in a trine (exact on December 12) – yet another aspect reinforcing productivity and practicality. Jupiter’s exuberance and tendency to do overdo everything is already somewhat tempered by his retrograde motion. With Saturn and Jupiter in a friendly trine, optimism remains, but with realistic expectations and the ability to do what it takes to meet commitments and obligations. Big ideas with a realistic strategy and discipline are much more likely to succeed. Mercury and Mars are both about to change signs, but in the New Moon chart, they form a sextile in Scorpio and Virgo (exact on Tuesday). This practical, productive pair reinforces problem-solving abilities by combining deep insight with no-nonsense action. I’ve often said that we can’t find lasting solutions to any problem unless we identify the source. This can be difficult, especially for those who prefer not to go beyond surface appearances. Sometimes, avoidance is out of fear that the remedy may be too difficult or uncomfortable. Mars in Virgo won’t waste time sugar-coating whatever Mercury in Scorpio dredges up and doesn’t much care whether the medicine tastes bad. On Wednesday, Mercury enters Sagittarius, the sign of his detriment. I’ve never quite understood why Mercury isn’t happy in truth-seeking Sagittarius. It would seem like a good match. However, Mercury’s home sign of Gemini (opposite Sagittarius) is associated with minute details and knowing a little about many subjects, whereas Sagittarius is the big-picture sign, concerned with broader patterns and inherent meaning. Put another way, the truth is more than a collection of details and facts. With Mercury in Sagittarius, there’s also an element of blurting out the truth without thinking about how it might affect others. When a woman asks her husband, “Honey, do I look fat in these jeans?” … well, you know. 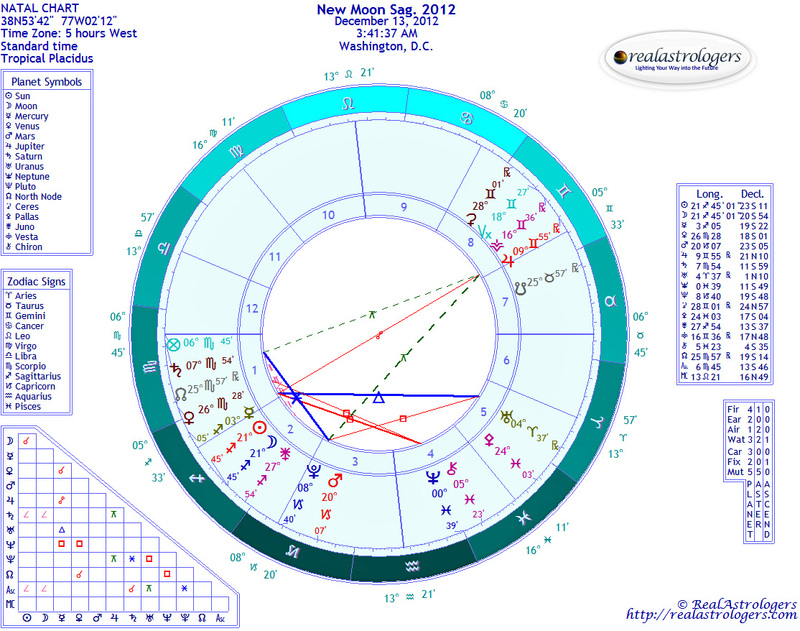 Mercury squares Neptune on Friday. Neptune recently turned direct and is still moving slowly (from our perspective). Take care in making agreements, as there is some risk of a lack of clarity or even intentional misleading. We may experience something like a mini Mercury retrograde, with misunderstandings, lost e-mails, and so forth. I also need to mention the usual caution about using alcohol or mind-altering drugs, as you might experience something other than your normal reaction. Mercury-Neptune contacts are good for dreams, even if they aren’t entirely comfortable. I’m a big fan of dream work, and when I have dreams that are disturbing in some way, I make special note, because there often is a “message” that’s trying to get through. Think of it as a note from yourself to yourself. On Saturday, Mars enters Libra, the sign of his detriment. On one hand, this is a signature for the warrior for justice, especially for women and girls. On the other, negotiations could go nowhere, despite a lot of back-and-forth. Mars knows what he wants, and “compromise” is not in his vocabulary. Perhaps he can be forced to do so, but he’ll seethe quietly until he’s in a better position to get his way. In deliberative bodies such as the U.S. Congress, agreements may be more elusive than ever, and this could be the state of affairs for many months. Mars is going to be in Libra until – are you ready for this? – late July, due to his retrograde cycle. In personal relationships, you’ll need to be mindful of who wants what. Sometimes we go along with the other person even though it’s not what we want, whether to avoid a flap or because we want to “be big about it.” However, if this happens too often, resentment can build up, and eventually it comes out in one form or another. Some people just get fed up and walk away. In relationships that really matter to you, have a talk this week and explain the potential minefield ahead. Perhaps you can make a pact to be direct and honest, even in matters that don’t seem like a big deal at the time, and agree that you won’t accuse each other of being petty or trivial when such things come up. If you’ve got a demanding partner who always insists on getting his or her way, it’s possible that you could right the balance in the next six months. That said, be prepared for some conflict – and remember, conflict is not always bad. Just the other day, I was talking to a woman who lamented that she’d had a fight with her boyfriend over the weekend. Eventually, she added that they aired several grievances, and the relationship was strong than ever. I thought it was interesting that, when asked whether she’d had a good weekend, she focused on the fight and added the strengthening of her partnership almost as an afterthought. I concede that it does take a lot of courage to bring up contentious subjects, especially if you think it will damage the relationship. If you value the relationship, being direct and honest is the highest form of respect, both for yourself and for your partner. I know you know this, but practicing it is another matter entirely. Heavy discussions are just plain hard, and we’re heading into the party season, when we’d rather eat, drink, and be merry. Goddess knows we’ve earned it. Before I go, I’d just like to mention Comet ISON again. It looked for a while there like it didn’t survive its close encounter with the sun, but something did survive. As I type, the latest word from astronomers is that they’re waiting until ISON gets far enough away from the sun to determine what’s left of it. I’ve been asked whether I attach any astrological significance to this event. There is definitely something symbolic about it. I have a few ideas forming but will wait until we get a better idea of its condition. This entry was posted in Forecasts and tagged Jupiter in Cancer, mars in libra, Mars retrograde, Mercury in Sagittarius, New Moon, Sagittarius, Uranus-Pluto square on November 30, 2013 by Pat. Detail of "School of Athens," by Raphael, 1510. Apostolic Palace, Vatican City. Part of the Sagittarius ego trap, is to become lost in the intellectual realm and fail to realize the next stage of his evolution: accessing intuition through the Higher Mind. Too much intellectual processing leads to analysis paralysis. Mentally going around in circles can be very deceptive. In the illusion that one is getting somewhere or resolving a problem, one may simply be unproductively wasting time and energy. Using the intellect as a basis, releasing dogma, accessing intuition, and translating that into wise action is the healthiest pathway for Sagittarius if he is to avoid falling by the wayside and being distracted by things outside of himself in an endless intellectual loop like the centipede in the above rhyme! One of the most important lessons Sagittarius will learn is that he will never find wisdom outside of himself. His true Soul journey is one of going within, but this is often difficult for our lovely fun-loving, gregarious, affable and sociable friend. He is such a lover of life that there are many things outside of himself to distract him from his journey. The symbolism of the Archer pointing his arrow at the target is symbolic of Sagittarius’s search for the real goal: the search for his Soul, wherein he will find his highest truth and wisdom. [quote cite=”Marcus Aurelius”]Everything we hear is an opinion, not a fact. The fully integrated Sagittarius knows that true wisdom is to be found in the silence. If Sagittarius is to become master of his actions, he needs to realize this wisdom: beyond words – beyond mental concepts – beyond his own intellect. He needs to go within and access the silent wisdom of his heart and Soul which whispers to him through the language of intuition. In order to do this, he needs to release dogma by accessing the all-embracing wisdom of his opposite pole, Gemini, which will allow him to consider alternate perspectives, prevent him from getting lost down a rabbit hole, and, most importantly, give him the skill of placing his attention on his inner world. Once he has turned his attention within, accessing the multifaceted awareness of Gemini, Sagittarius will recognise his own multi-dimensional nature, access the higher wisdom of multiple intelligences (beyond intellectual, emotional and spiritual intelligence! ), and find his Truth. It is said that there are gifts in the three fire signs of the Zodiac: the gift of existence in Aries, the gift of opportunity through individuality in Leo, and the gift of power in Sagittarius.1 Although Scorpio is indeed a powerful sign, it is actually in Sagittarius that this power becomes potent through “right direction.” This is a vital stage in our Soul’s development, which eventually leads to the birth of Christ Consciousness in Capricorn. There are magical Universes to explore, Sagittarius. Will you become a prisoner of your own philosophy and, like the Spanish Inquisition, limit yourself with mental concepts? Or will your love of wisdom permit you to turn your attention inward, and give yourself the highest freedom: the freedom to broaden your horizons and explore every facet of your multidimensional Being beyond your own mind? Pick up your bow and arrow and set your sights on your inner goal. Sagittarius, the adventure of your lifetime begins here! 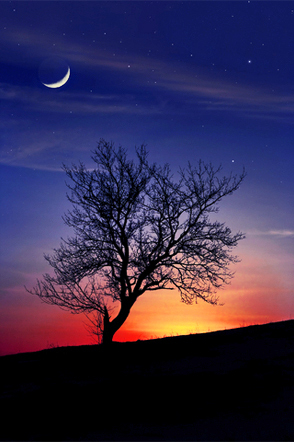 This entry was posted in Guest Posts and tagged Alice Bailey, Sagittarius, soul astrology on December 8, 2011 by Pat. The sign of Sagittarius is associated with fun, gregariousness, optimism, friendliness, generosity, teaching, knowledge, philosophy and spiritual seeking. Welcome to the sign of great sages, wise men (and women), and spiritual teachers. So does every Sagittarian we meet carry the wisdom of Solomon? Not exactly … or, at least, not yet. Let’s just say they are on their way! Known as the great philosophers of the Zodiac, our Sagittarian friends have a thirst for knowledge. They may not necessarily be hanging out in the halls of academia (although many are!) but nevertheless they are driven by a need to understand the Universe and everything in it. The thirst for wisdom is innate in every Sagittarian. Indeed the term “philosopher” comes from the ancient Greek words philos (love of) and Sophia (wisdom). Esoterically, Sagittarius is the first of the “signs of service,” 1 and the fully integrated Sagittarian is here to “uplift humanity through the revelation of truth and wisdom.”2 The highest octave of Sagittarius resonates with ultimate truth, freedom, and our highest spiritual goals, but before he can reach them, our Sagittarian friend needs to transcend the ego traps of the Sagittarian personality. To do that, he needs the ecclectic, all-embracing wisdom of his polar opposite, Gemini. Mutable energy is all about change, and fire signs are all about mastery of action. As the mutable fire sign, Sagittarius is here to change the way we do things.” We can see how the word “philosophy” becomes distorted at the personality level so that, rather than simply being a love of wisdom, having a philosophy becomes about having a prescription for how we “should” live our lives. This is a clue to the lower ego trap of Sagittarius. Spain is ruled by Sagittarius, and it is said that the Spanish Inquisition (A medieval religious tribunal where many people were tortured and killed to “test” their affiliation to the Catholic Church) was a manifestation of lower octave Sagittarius. At its highest octave, Sagittarius brings us truth and freedom and sets us on our spiritual path; at its lowest octave, Sagittarius can erroneously create belief systems and impose them on others. It is indeed a Sagittarian ego-trap to fervently pursue one mental concept to the exclusion of all others, in the mistaken belief that he has found the Truth. This then becomes dogma. And He who declares himself a believer buries it. The true mastery that is required of Sagittarius is to turn his attention inwards and master his own thoughts, words, and deeds. 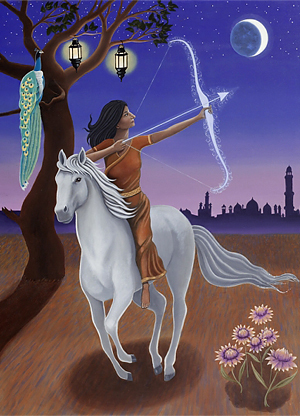 Symbolised by the Archer, it is quite typical of Sagittarian energy to latch onto one goal, purpose, or idea, and get totally lost down that rabbit hole, blinded to all that is around him. By accessing the diffuse, eclectic energy of his opposite sign, Gemini, Sagittarius learns to consider all the options, be less one-sided, and become aware of the multidimensional facets of life. By going within and realizing the multidimensional aspect of his true nature, Sagittarius eventually learns to discern truth from opinion, and finds that which he is seeking: true love-wisdom. The Tibetan (Master Djwal Khul) explains how humanity is currently evolving in conscious awareness from instinct, through intellect, to intuition.1 The intellect is a necessary part of our evolution. It allowed us to transcend instinct, or our animal “urges,” and create civilizations. Yet, following intellectual pursuits keeps our attention outside of ourselves. Now that Sagittarius has used his intellect to free himself from the everyday burden of instinct – physically hunting for food – his next step is to go within and explore his intuitive realm. 1. Esoteric Astrology, The wisdom of the Tibetan (Master DK), channelled through Alice A. Bailey. 2. Esoteric Astrology: The Journey Of The Soul, by Candy Hillenbrand. View online at A Place in Space. This entry was posted in Guest Posts, Saturday Extra! and tagged Alice Bailey, Sagittarius, soul astrology on December 3, 2011 by Pat.